We are all at risk every time we leave our homes but it’s not as bad as the media makes it out to be. With some common sense and preventative care, we can all prevent the spread of sickness and disease and reduce our own personal risk of contracting a transmittable disease such as Ebola, H1N1, the Flu and the common cold. As a business owner, you should offer your customers and your employees a hand sanitizing solution to show that you do care and that you are doing your part to reduce the risk of your facility spreading germs. 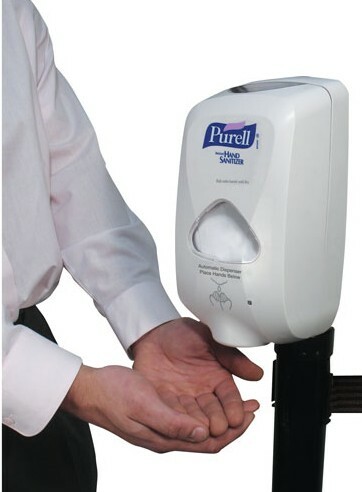 Boulevard Supply offers stanchion top mounted hand sanitizing stations that can help you, your company and your customers reduce the spread of germs and disease.